VOIP Telephone Systems vary widely in respect of feature set, standard benefits, device connectivity and cabling requirements, however all require certain fundamentals to ensure reliability. VOIP systems or IP PBX offer businesses incredible flexibility when it comes to communications. Now where ever you are in the world, wherever you have an internet connection, a softphone on your Laptop or smartphone app (iPHONE, ANDROID, Windows Mobile or Blackberry) now provide you with seamless communication with your office team members, but also when working abroad, low cost access to your office phone lines for calls to Irish numbers. Non Geographic location – unlike regular phone line providers, you can take your phone number anywhere with VOIP systems. Unified Communications – because voice over IP systems are connected across your IT network, they have the ability to integrate with your CRM or Outlook software packages for better communication with your customers. Scaleability – traditional telephone systems always had a final capacity but because of the way VOIP telephone systems are structured, they can be upgraded more easily without the need to replace your system completely. A true voice over IP system differs from legacy digital and analogue telephone systems, each connection whether it to be to a phone, fax machine, ISDN Line, Analogue line, is connected via IP. Another misnomer, is that by deploying an IP PBX or VOIP phone system, that the business now works solely with IP Telephone Lines or SIP Trunks as they are sometimes called. This may be the case with some vendors, but the vast majority, including -Ericsson LG offer connectivity for legacy standards such as ISDN and PSTN in conjunction with SIP or IP Lines. Many have a misconception, that all that VOIP (Voice over Internet protocol) is cheap phone calls over the Internet, but that is a huge generalization. IP and Voice Over IP can be also used on private networks, for instance 2 computers sharing files can do so by using IP, this can be done without ever being connected to the Internet, likewise 2 IP Phones connected on the same network can talk to each other without ever being connected to the internet. 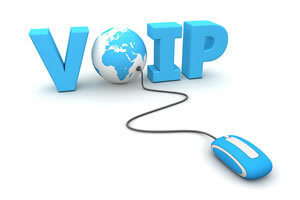 So VOIP does not need to be transmitted over the Internet to be deemed a voice over IP Call. Two IP Phones connected on a network, talking to each other are communicating like a standard pc workstation accessing files on a local server. Call us today on 01 620 56 77 for a free audit of your existing Communications setup.